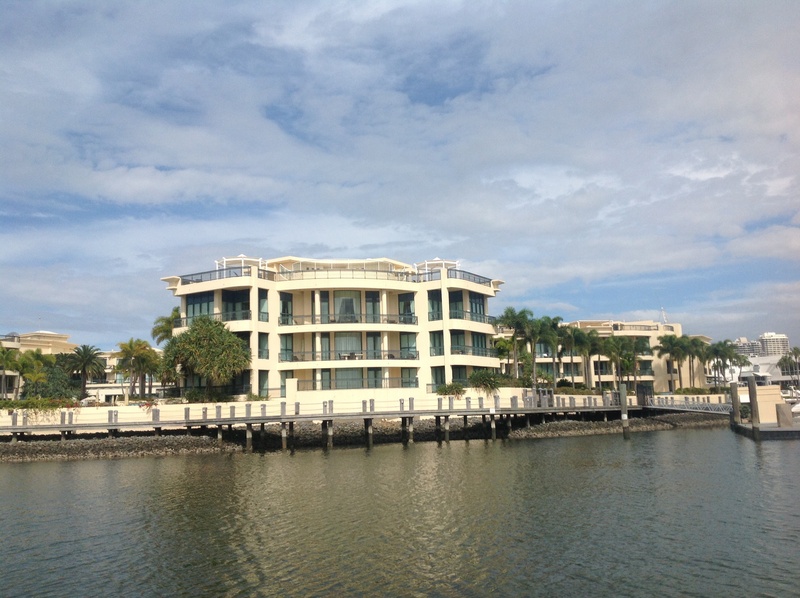 One of the many opulent mansions you see on your Bluewater Cruise on the Nerang River in Surfers Paradise. 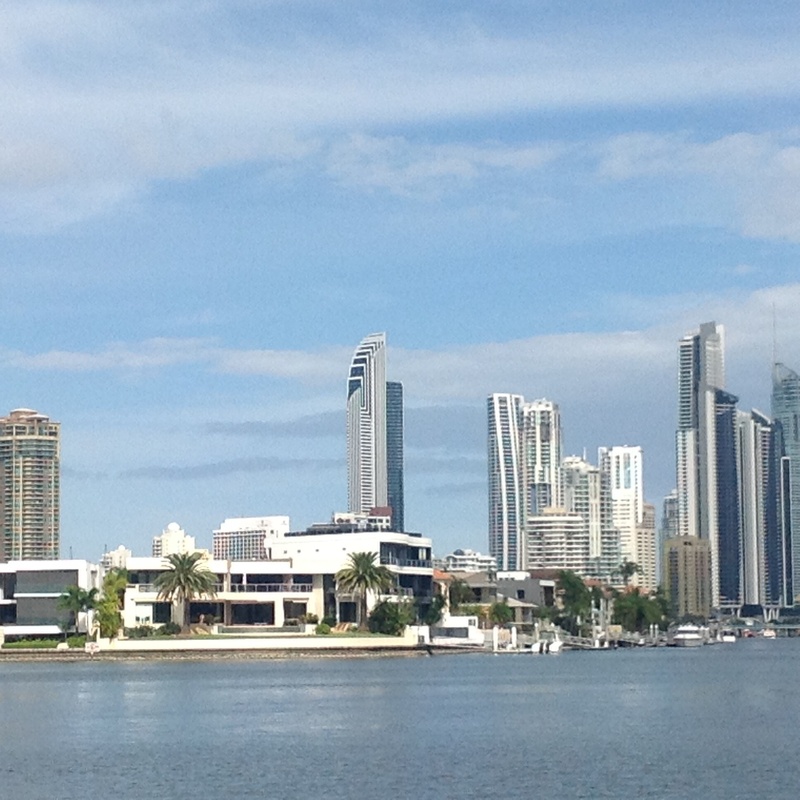 The cruise departs from the jetty at the river end of Cavill Avenue at 12.45pm. Grab a glass of bubbles from the bar, settle back and admire the lavish homes you see along the way. And, if you’re as lucky as I was, you may have a pod of dolphins swimming alongside your boat as you travel back down the river. The stunning skyline of Surfers Paradise. As the cruise heads down the Nerang River you pass the exclusive enclave of Cronin Island and the $10M mansion of the owner of Billabong surf wear – very impressive. But what is even more eye-opening is the land he bought next door for around $2.5M to house his children’s playhouse and swing set – as you do. You’ll see motorcycle legend Mick Doohan’s home, although we’re told he also has another 30 acres out at Coomera for his helicopters and other assorted toys. I can totally sympathise, there is nothing more annoying than running out of room in the garage. Further along the river is the apartment building where our favourite songbird, Kylie Minogue has an apartment and where the woman that everyone loves to hate for marrying John Lennon, Yoko Ono has five! The halfway mark of the cruise sees you passing the incredibly opulent Palazzo Versace at the Southport Spit whose penthouse has welcomed stars like Pink, Beyoncé and Tom Jones. If you have to ask how much it costs, you know you can’t afford to stay there! So sit back with the rest of us and just mock (or marvel) at the ostentatiousness.